***SERVICE HISTORY ***1st @ 17,235 miles Mercedes, 2nd @ 26,842 miles Mercedes, 3rd @ 33,207 miles Mercedes, 4th @ 37,795 miles Mercedes, 5th @ 44,769 miles Mercedes, 6th @ 49,621 miles Mercedes, 7th @ 68,209 miles. Reyland's of Seavington are very proud to offer you this absolutely immaculate Mercedes CLC AMG sport finished in very rare Tenorite Grey Metallic. 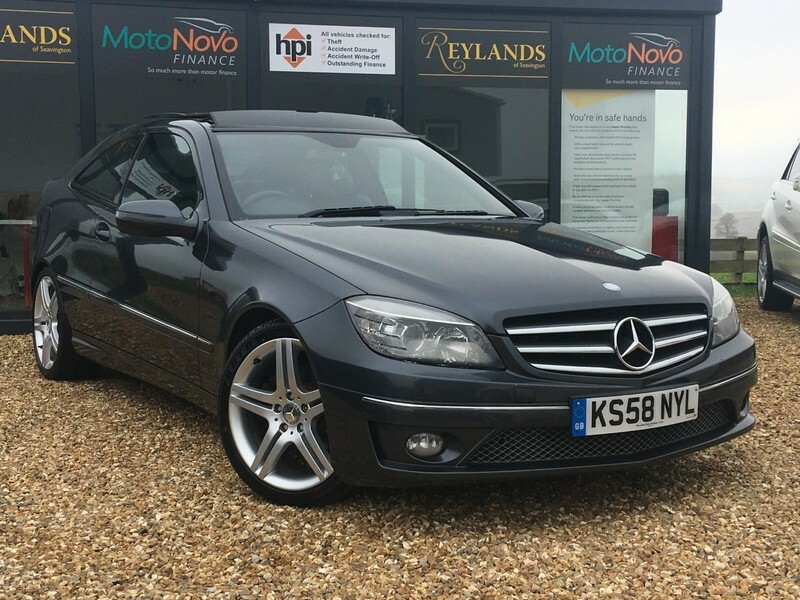 This CLC looks stunning AND has being extremely well cared for as this car and is complete with a very high specification including Auto gearbox with Paddle Shift, 18" AMG alloy wheels, Panoramic tilt and slide sunroof, heated black leather seats, cruise control/limiter, air conditioning, hands free Bluetooth/ telephony, front and rear parking sensors, electric windows, electric folding mirrors, auto lights, multi function black leather steering wheel, ESP (traction control),radio/cd, ISOFIX rear seats, remote locking with x2 keys and front fogs. This CLC looks and drives superb. Reyland's recommend early viewing on this car due to, very RARE PANORAMIC SUNROOF OPTION + HEATED BLACK LEATHER SEATS + PARKING SENSORS. We are located in Seavington, Nr Ilminster, Somerset, TA190QB.